Would you like to WIN a $40 My Little Fairy Garden gift voucher? 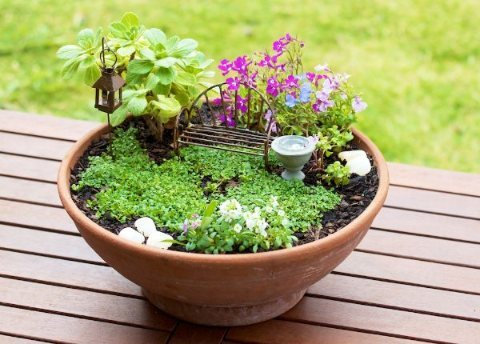 As a way of thanking all our wonderful customers, we are holding a Fairy Garden competition where you have the chance to win one of two $40 My Little Fairy Garden gift vouchers. To enter, email or send via a Facebook private message, a photo of your garden featuring some of our products. Include your full name, state and a brief description about your garden. All the enteries will be put into a competition album on Facebook which will be made public on 10 June 2014. After this date, you can share the album and your photo with friends and ask them to 'like' their favourite garden. The photo that receives the most 'likes' by 24 June 2014 will WIN a $40 My Little Fairy Garden gift voucher. We will choose our favourite garden, and the winner will receive a $40 My Little Fairy Garden gift voucher. Facebook Most Likes competition is closed to NSW residents. My Little Fairy Garden favorite garden competition is open to all states. One photo per garden entry. Photo collages are accepted. Each photo entry must feature one or more My Little Fairy Garden products. Voting opens when album is made public on 10 June 2014 and closes on 24th June 2014 at 10am (WA time) The winners will be announced on Facebook and our website shortly after. Enteries will also be posted in a blog on our website. This competition is in no way sponsored, endorsed or administered by, or accociated with Facebook. I would love these pretties in my garden. My daughter would go crazy!